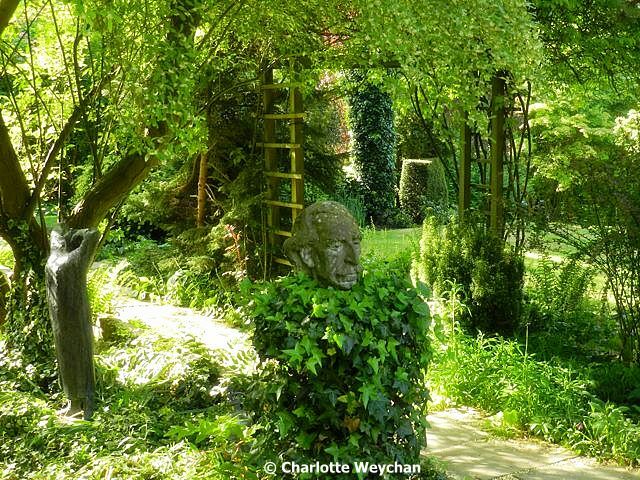 The Gibberd Garden in Essex is one of the most unusual gardens you'll ever see! 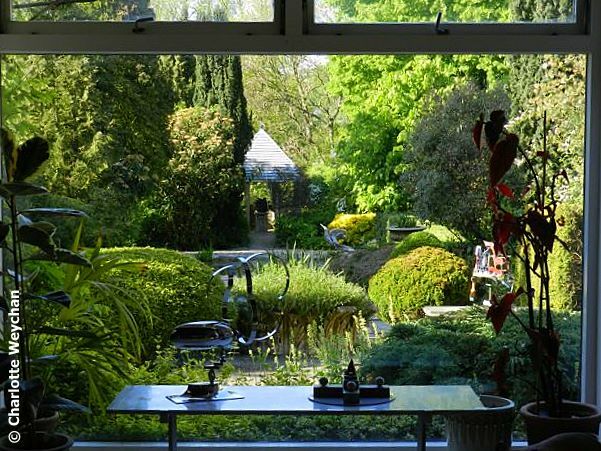 Created by the only architect who's designed a modern Catholic cathedral, mosque, non-conformist chapel and abbey in the same career - Frederick Gibberd (who was knighted in 1967) - also made a wonderful garden at his home. He was the master planner of nearby Harlow, one of Britain's post-war "New Towns" and bought the property while working for the Harlow Development Corporation; but ironically, was refused planning permission to demolish the house and build to his own design! The result is an unassuming, and arguably unsightly, single-storey dwelling, but it is more than compensated for by the extraordinary seven-acre sloping garden, filled with some 80 sculptures and architectural artefacts. He added terraces, patios and a pool with an octagonal mirador to enhance the look of the property, and even built a castle! 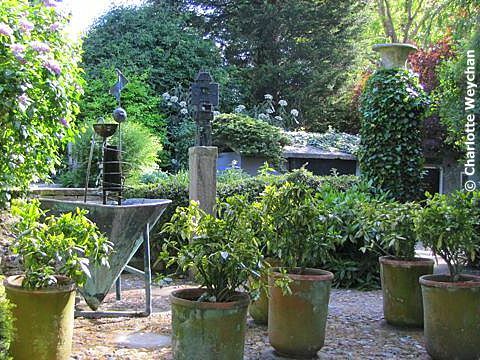 This garden has been described as "one of the outstanding examples of 20th-century garden design". It is like a stage set, where the sculptures pose as actors. Sculptures and artefacts have been carefully chosen for the stage here and range from modern pieces, to two original columns from the Coutts Bank building in London's Strand, which Sir Frederick redesigned. 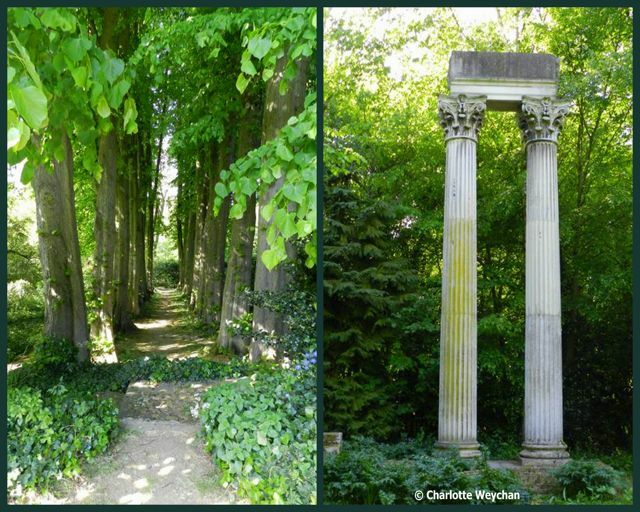 He inherited certain garden features like the avenue of lime trees (above), but most of the garden you see there today is the result of Gibberd's hard work, helped by his first wife, who died in 1970 and his second wife, who survived him. When Sir Frederick died in 1984, he bequeathed his home and garden to Harlow Town Council "for the recreation and education of the people of Harlow". But the Council refused the bequest because of the terms of the will, which was later contested by his children. 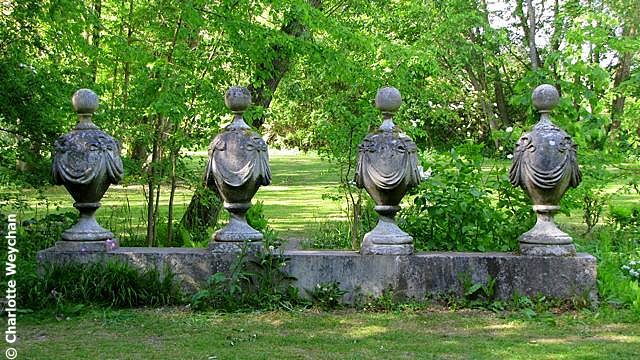 Gibberd had married again after the death of his first wife in 1970, and it's acknowledged that both first and second wives made an enormous contribution to the development of the garden. But lengthy court battles after his death nearly threatened the future of the property. Finally in 1995, after a decade of uncertainty over the garden's future, an appeal fund was launched to save Gibberd's modernist masterpiece, headed by Hugh Johnson, 'Tradescant' of the RHS journal The Garden; and owner of Saling Hall, which I visited earlier this week. The full story is told on the Gibberd Garden Trust website. Today, it's important that visitors continue to come to this extraordinary garden, because it relies on entrance fees and donations for its upkeep. It's open on Wednesdays, Saturdays and Sundays from April to the end of September from 2pm to 6pm, plus Bank Holidays. You won't be disappointed! I was going to say 'I'm about to pack - and ready to move in' - when I got to the rest of the post and learnt of its 'who wants to live there' history. Looks wonderful. This garden is masterfully done. Everywhere art is carefully placed. The ivy drapes gracefully adding character and age. It looks to be a fine place to visit and support. Charlotte, I can only think when you have fully done the rounds, you will simply start all over again. On the other hand, perhaps there are an endless amount of gardens such as these. Alistair, I don't think I'll ever manage to see all the gardens there are in the UK, even if I keep moving at this rate! But I shall try and see new ones every year. I am amazed at the wonderful gardens maintained in that country, and thank you for sharing all of them, at least we had some glimpses.